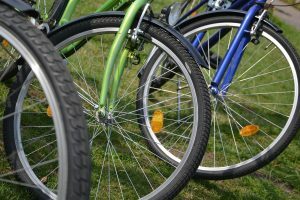 For two weeks only – from now until 19th October – you can bring bicycle inner tubes to St Nicks Environment Centre which will then be sent off to be recycled by Cycle of Good. Alternatively, you can bring the tubes to our Autumn Fayre on Saturday 13th or to the Zero Waste York Mingle on Saturday 20th. Please note this is a special one-off collection and we will not be accepting any inner tubes after this.